You brush and floss regularly. You attend routine dental visits. You value a healthy smile. Do you ever wonder how you stack up against the rest of the country when it comes to dental health? Today, our Albuquerque, NM doctors explore oral healthcare and dental statistics in the United States. 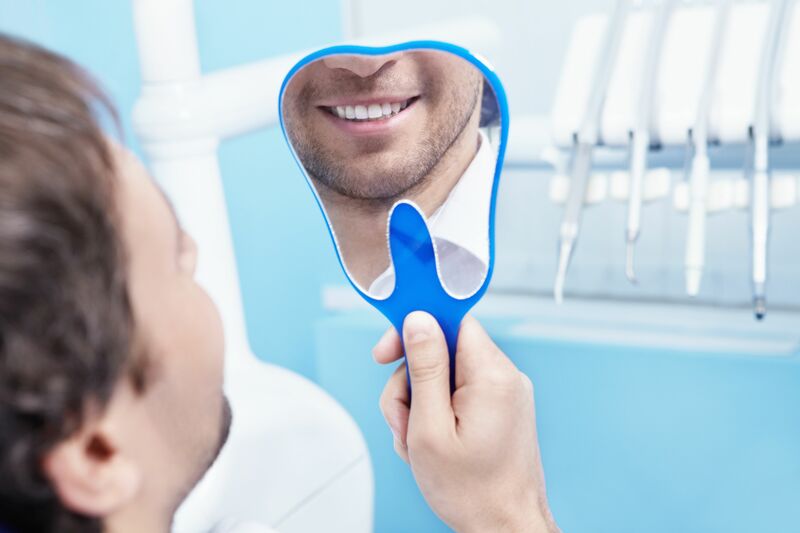 At Cosmetic Dentistry of New Mexico, we offer a number of preventative, cosmetic, and restorative dentistry treatments to improve your dental health. Whether you need full-arch tooth replacement or a simple dental cleaning, our team can help. Most Americans know that routine dental care is essential for healthy teeth and gums. But just how many patients visit the dentist on a yearly basis? According to the American Dental Association, just over half of the population attends routine dental cleanings and examinations every six months. Even more shocking, more than 20 percent of patients stated that they had not been to the dentist at all over the past few years. Why Do Some Individuals Avoid Dental Visits? If the majority of Americans understand the importance of regular dental visits, then why aren’t more patients following through with routine care? According to the Health Policy Institute, nearly 60 percent of Americans avoid dental care due to cost, regardless of income, age, or dental insurance coverage. Approximately 22 percent of individuals avoid the dentist because of anxiety, while 19 percent did not schedule appointments because they could not find a convenient time. At our practice, we ae focused on patient-centric care. No matter what your fears or concerns, our team is here to help walk you through the process. If you have never had a cavity, you are in an extremely small minority. According to a study conducted by the Centers for Disease Control and Prevention (CDC), over 90 percent of Americans have some level of tooth decay. For adults over the age of 64, that number jumps to 96 percent. Shockingly, almost half of all Americans will suffer from periodontal disease at some point in their lives. According to the CDC, this condition affects nearly 65 million individuals in the United States. Additionally, gum disease affects over 70 percent of Americans aged 65 and older. Fortunately, most Americans understand the importance of at-home oral hygiene. The American Dental Association recommends that patients brush at least twice a day and floss once daily. But how many individuals adhere to these recommendations? According to a survey conducted by Delta Dental, the majority of Americans, 70 percent, brush often enough. But individuals seem to fall short when it comes to flossing. The same study reported that only 40 percent of individuals floss every day. Shockingly, 20 percent of the respondents reported that they do not floss at all. Our skilled and experienced team of doctors can help you avoid common dental issues through routine care. Avoid becoming a statistic and schedule an appointment at our practice today. Contact us online or call our office at (505) 883-4488.